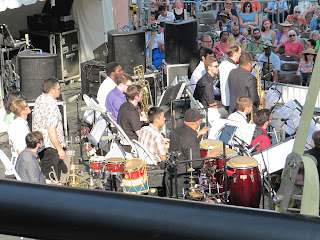 Today was my third and final day at the Detroit Jazz Festival. This free festival celebrates jazz and sets a precedent for all cities that art and music are vital to communities. 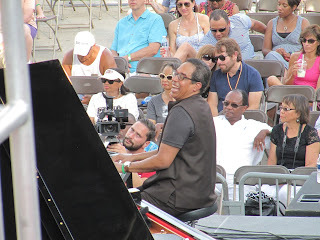 I had the good fortune of seeing a "Dizzy and me" JazzTalk with Dave Usher and moderator Bob Porter; the 2015 Detroit Jazz Festival Homecoming band led by Spencer Barefield with soloist Harvey Thompson featuring James Carter, David McMurray, Dave Young and Djalio Dakate Keitar; the World Premiere of Danilo Perez's Detroit World Suite; Eddie Daniels' jazz version of Vivaldi's Four Seasons for Detroit with the Detroit Jazz Festival String Orchestra and original narration from Douglas Preston; the John Scofield Joe Lovano Quartet; and a screening of "Charlie Haden Rambling Boy" directed by Reto Caduff. Read my preview of the festival as well as Day 1 and Day 2 of the festival. First, I went to a "Dizzy and me" JazzTalk with Dave Usher and moderator Bob Porter. Usher told the story of how at age 14 he met the jazz giant and forged a 50-year friendship. During those years, Dave Usher helped form Dee Gee Records while also producing Dizzy’s records and traveling the world with him. Following, I attended the 2015 Detroit Jazz Festival Homecoming band led by Spencer Barefield with soloist Harvey Thompson featuring James Carter, David McMurray, Dave Young and Djalio Dakate Keitar. 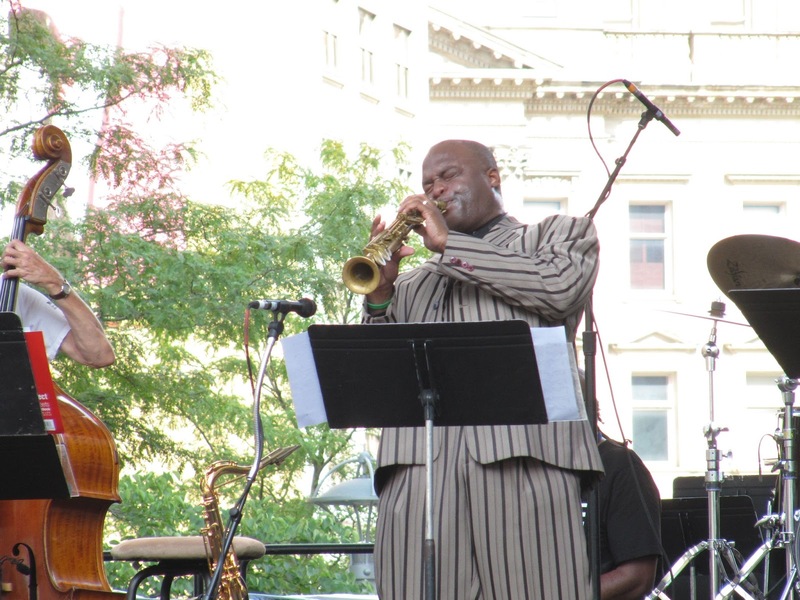 I have been lucky enough to see James Carter perform numerous times throughout the course of the festival, showcasing his skills on tenor saxophone, soprano saxophone, clarinet and flute! 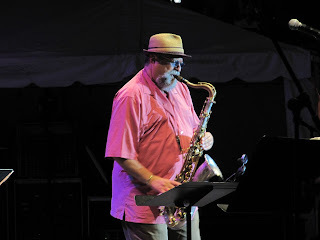 Carter's playing encapsulates the 'Detroit' style of saxophone playing - aggressive, passionate and raw. 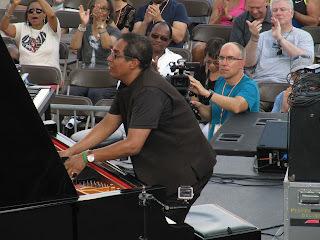 Next, I went to the World Premiere of Danilo Perez's Detroit World Suite. Perez joined forces with the Detroit Wayne State University Big Band and students from the Berklee Global Jazz Institute, as well as his family members. 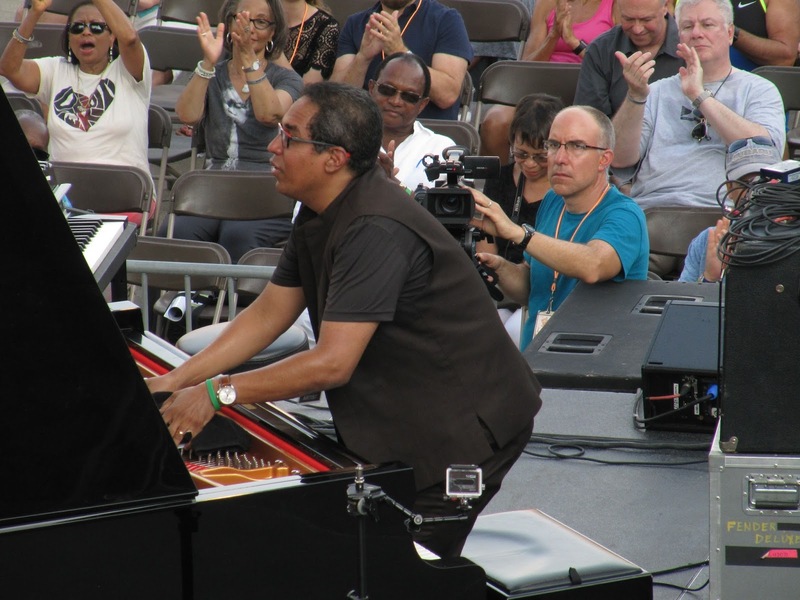 A highlight of the set was Perez's composition "Children of the Light" from his album Children of the Light with Brian Blade and John Patitucci, arranged for Detroit by a Wayne State University student. 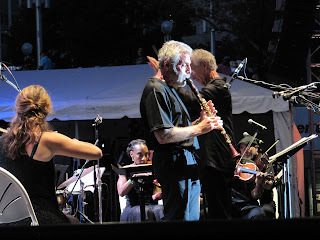 Then, I went to Eddie Daniels' jazz version of Vivaldi's Four Seasons for Detroit with the Detroit Jazz Festival String Orchestra and original narration from Douglas Preston. 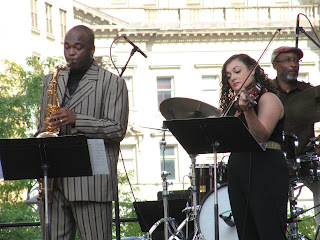 I loved the incorporation of jazz and strings, it reminded me of my favorite album Charlie Parker with Strings. Eddie Daniels has immense fluidity in his melodic line that allowed him to make the virtuosic jumps and skips written in the score. The incorporation of spoken word was particularly poignant, as it told the struggles of Detroit in a hopeful way: "The music is the voice of our struggle, it is how we stand and reach for the light." 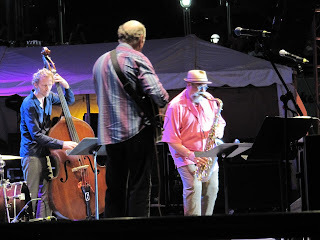 Afterwards, I saw the John Scofield Joe Lovano Quartet. 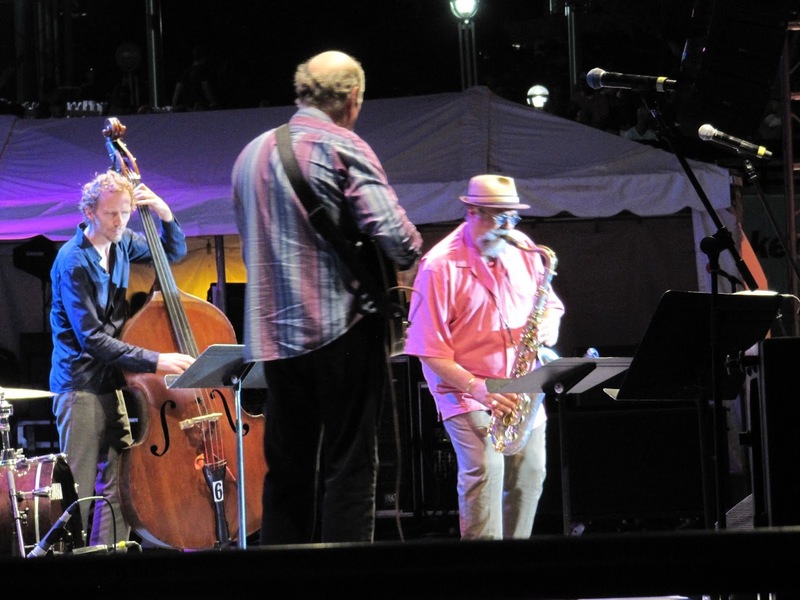 Originally formed in the 1980s, this quartet represents a reunion between two masters of their instruments, guitar and saxophone respectively. 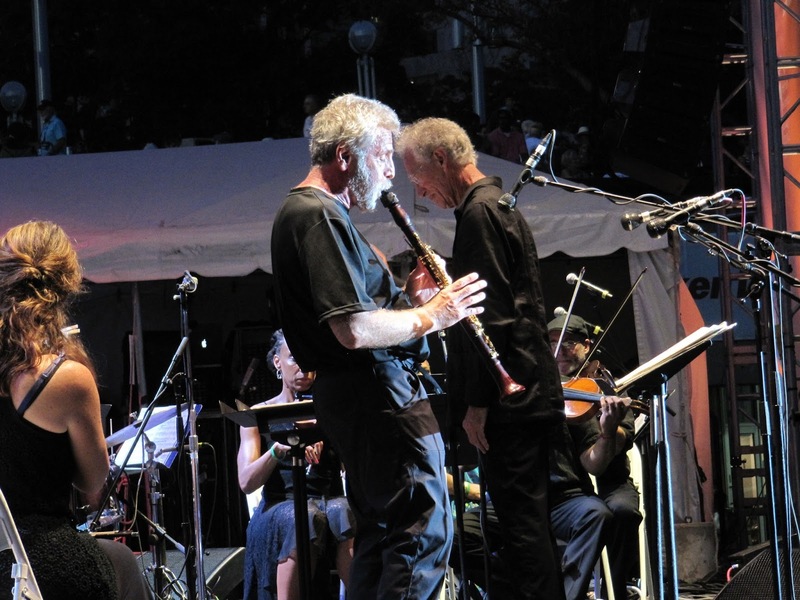 The group paid tribute to the late Ornette Coleman through original songs as well as sparkling, energetic improvisations. 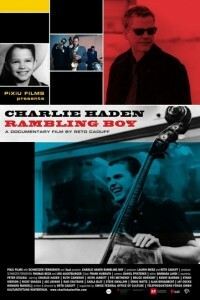 Finally, I saw a screening of "Charlie Haden Rambling Boy". 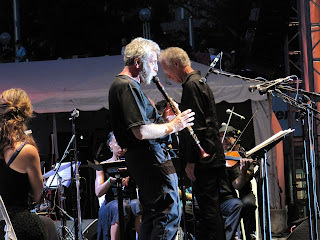 Directed by Reto Caduff, the film explored the legacy and influence of the bass player, bandleader and composer whose spiritual beliefs about music bringing socio-political changes uplifted his work with his Liberation Jazz Orchestra, as well as his bands with Ornette Coleman and Keith Jarrett. Several members of the Liberation Jazz Orchestra were present to talk about Haden, including Carla Bley, Steve Swallow, Joe Lovano, Matt Wilson and Joe Daley as well as Haden's wife, Ruth Cameron. What I didn't know about Haden was that he started out playing country and bluegrass music in the rural country. The hope and pride of Detroit certainly has taught me that music and the arts are how a city comes to stand tall. The 2015 Detroit Festival has been a remarkable experience, and I cannot help but come away from it with a new outlook on community, music and optimism. Please visit my jazz poetry blog, "Without a Poem", where I improvise a new poem everyday! I also share jazz music and art there, so stay tuned! Today inspired my haiku, "Light".